Originally released in 2000, the film has become a vital part of the nation’s ongoing conversation about race, citizenship and civil liberties — complex and fraught dynamics that have become even more urgent since Sept. 11, 2001. Through May 31, “Conscience and the Constitution” is available to all Comcast digital cable subscribers with On Demand in San Francisco, Sacramento, Fresno, Santa Barbara and other markets for $1.99 per view. “Conscience and the Constitution” examines the history of mass incarceration of more than 110,000 Japanese Americans into internment camps during World War II, the majority of them U.S. citizens. The film focuses on a group of 85 internees who refused to be drafted to fight for the U.S. military — an act of protest that resulted not only in the largest trial for draft resistance in U.S. history, but also in ideological rifts within the Japanese American community that persist even today. 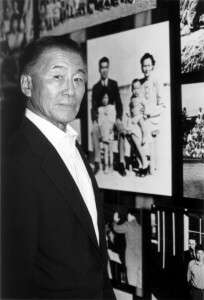 At a time when community leaders advocated for Japanese Americans to sign up for the armed forces to prove their loyalty to the U.S., the resisters refused to do so, knowing that they and their families had been stripped of their civil rights and incarcerated, solely on the basis of their race. That story also frames the plot of the new musical “Allegiance,” which premiered last fall in San Diego and is currently back in development in a workshop lab in New York. “This cablecast of ‘Conscience’ is timely, as audiences who’ve seen or heard about the musical can now check out the source material for themselves,” said Abe. “Cinema Asian America” is a groundbreaking video-on-demand offering on Comcast featuring Asian American and Asian films and videos in a monthly, thematically programmed format. The curated series brings together award-winning films fresh from the film festival circuit and classics that beg to be revisited. “Conscience and the Constitution” is also available as a two-disc collector’s edition DVD, which can be ordered online for home use for $29.95 plus shipping by visiting www.Resisters.com/orders. For institutional rates, schools and libraries should contact Transit Media at www.transitmedia.net or (800) 343-5540. Learn more about the film at Resisters.com, and see sample clips from the film at www.YouTube.com/ConscienceDVD.